Hello Beauties and Happy Halloween! I've been a little absent from the blog recently as things have gotten a little busy leading up to the end of the year, but I wanted to pop back online today to say thank you for all of your lovely comments on my last post and that I won't be giving up blogging - I've put my heart and soul into this little corner of the internet and it really would be a shame to lose it all now. I think I just needed a few days off to clear my head and find inspiration again...inspiration which apparently came in the form of a pay day haul...oops! While I was feeling spendy in Boots I managed to pick up the new Bourjois Air Mat foundation in shade 01 Rose Ivory (the lightest of the bunch). Bourjois has long been my favourite high street makeup brand, and their foundations are a particular favourite of mine, however until now their collection of base products has definitely been more targeted towards those with dry to normal skin, which is why I was so excited to see that they had released an oil controlling foundation. I have very oily skin and most foundations just slip right off my skin, or they dehydrate it, so I was keen to put this one to the test and see how it performed. I'll get the negatives out of the way before moving on to what I love about the foundation, as it's always nice to finish on a high! The first thing I noticed about this foundation was the scent. The product has a very strong floral scent which I have to say, put me off a little. I'm not normally fussy about the smell of my foundation however this one is particularly strong and unappealing. Apart from the scent, the only other complaint I have is about the shade range. I know that if you're shopping for a high street foundation then the shade range won't compare to that of the luxury counters, but 'Ivory Rose' to me means that it should be pale and with pink undertones - neither of which this shade embodies. Shade 01 is way too dark for my skin, and also way too yellow toned which means that the foundation leaves an orange mask like appearance on my skin - not a good look. It's such a shame as the product is brilliant, but I can't wear it unless I've got a tan, and even then it's still too yellow! This will probably come as good news for those of you who struggle to find yellow toned foundations, but my english rose complexion just can't make it work. Now that the negatives are out of the way, I'll move on to the positives. 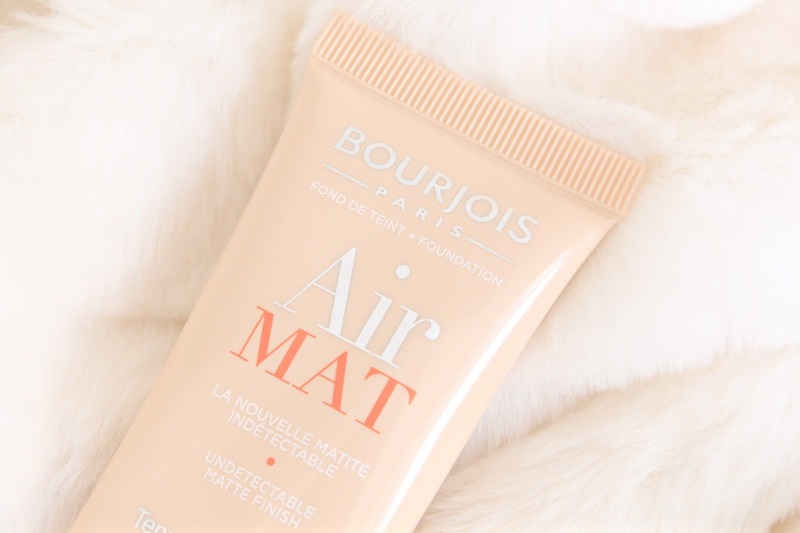 The Bourjois Air Mat foundation claims to be a lightweight full coverage foundation, and I'm happy to say that it is just that. The foundation feels weightless on my skin compared to some of my other full coverage products and it really does cover everything I'd like it to, with little need for concealer - which is always a bonus when you suffer with acne scarring. The foundation also evens out my skin tone and texture really well, keeping my skin matte without making it look dry or chalky, which is something I always look for in my foundations. The lasting power of this foundation is also pretty good, even when I've had the foundation on all day and blotted/powdered, etc it doesn't break up on my skin, making it good for those days when you don't have time to touch up your makeup. Overall, I'm pretty impressed with this foundation, I just wish that the shade range catered to us pale girls a little more. 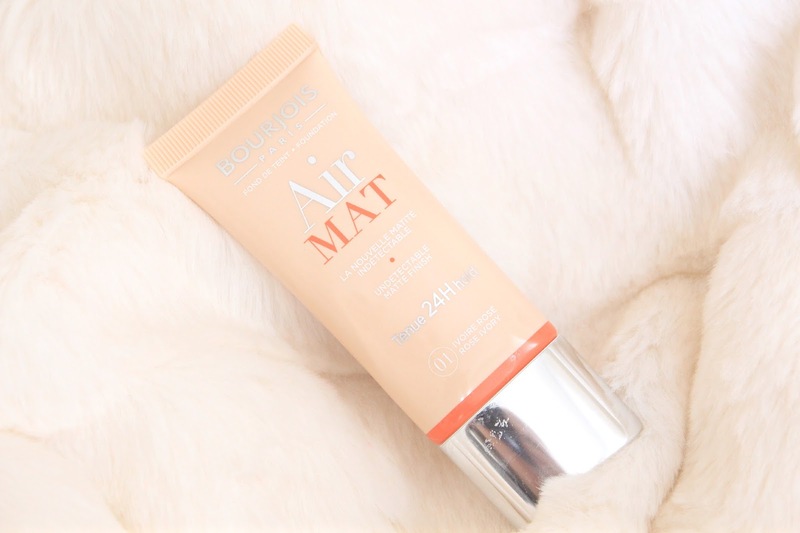 The Bourjois Air Mat Foundation is currently £9.99 from Boots and if you can find a shade match, I'd say it's worth every penny. I always find Bourjois have a yellow undertone theme running through all their foundations, it sounds lovely but like it would be way too dark on my skin! oh shame, sounds really nice but im too pale too! Such a shame it isn't light enough - I wanted to try this but I'm so pale! However it does sound like a lovely foundation. I was interested in this when I spotted it in Boots, but I swatched 01 and it was far too orange for my skin! I'm really quite pale so I tend to stick to L'Oreal for my bases, but if I have a tan I love Bourjois. So glad you will continue blogging. Your posts always always make me smile. It's a shame about the scent of this foundation. I am pretty picky when it comes to that stuff as well. I've been really wanting to give this a try but like you I'm incredibly pale and am always a little disappointed with the light shades from Bourgois :( I'm using the healthy mix serum atm and I love it so much but it's definitely too yellow toned for me which is so frustrating! I find that all Bourjois foundations are way too dark for me, either I'm too pale or the brand just don't understand light tones haha! This sounds great! I would love to try Bourjois products!